In this interview, Andres Carvallo outlines his vision for a fully realized Smart Grid, discusses why its importance goes beyond electric utilities, and pinpoints the major obstacles to success. Question: You are a leading proponent of deploying the Smart Grid as an engine for economic progress in the U.S. What should our national goal be? Our goal should be the complete automation of a nationwide grid. That implies many things including automated fault, detection, isolation and restoration, real-time load forecasting, dynamic volt/VAR control, and direct customer flow control of distributed energy resources like solar panels, electric vehicles and energy storage. The Smart Grid should be able to recognize and manage every device that it powers. Today, when something new is plugged into the grid, all that is typically known is the load. The grid of the future will be self-healing, distributed, interactive and intelligent enough to know if the device is a thermostat or a computer or a solar panel or an electric vehicle – and to manage them in real-time. Question: What is the present state of affairs? The good news is that Smart Grid genie is out of the bottle. But there is still a great disparity across the country in the degree of implementation. Some utilities such as Austin Energy, Oncor, and Centerpoint in Texas are very close to the automation goal. Baltimore Gas & Electric is well on its way. Utilities in California like Southern California Edison and San Diego Gas & Electric, and other pockets of the country, are making good progress. But most utilities haven't even started in any significant way. Question: Is there a single game-changing decision or policy that will be critical to optimizing Smart Grid deployment? The best thing that could happen would be for the nation's Public Utility Commissions and Public Service Commissions (PUCs and PSCs) to enact a mandate for building the Smart Grid by 2020. This is not a totally new concept. Advanced Metering Infrastructure (AMI) initiatives have been mandated in 20 states. We need a mandate for a fully automated Smart Grid and it should be a national priority. In that regard, I think that the efforts of the IEEE in creating working groups and standards that help establish a common technology platform are essential to a successful, nationwide Smart Grid rollout. Question: Why do you contend that the Smart Grid is not just an issue for public utilities and their customers but for the national interest as well? A fully deployed Smart Grid will provide benefits far beyond those the electric power industry typically talks about — that is, better reliability, better outage management, greater energy efficiency use, customer empowerment and so on. Smart Grid 3.0 — which I refer to as Advanced Smart Grids Interconnected — will enable a better quality of life, create more jobs, improve education, power an era of wealth creation and even provide better healthcare for our people. We have to start thinking of the Smart Grid as the ultimate 21st century platform. It will give us a phenomenal quality of service at a reasonable — if not inexpensive — price. The Smart Grid will make our economy more competitive in a world where other nations are well on their way to building Smart Grids. Australia, China, Japan, India and Western Europe are all on the same journey and in many instances are ahead of us. It is not unreasonable to forecast that in the next decade, we will be talking about a Smart Grid divide in much the same way that we now talk about the Internet divide between the haves and the have-nots. Question: Can you give a current example of an approach leveraging the Smart Grid as a platform? In Austin Energy's service area, the Zero Energy Capable Homes (ZECH) program requires new single-family homes to be zero net-energy capable by 2015. These homes will be 65% more efficient than homes built to the Austin Energy Code in 2006. This does not mean that developers have to add, for example, a $100,000 solar energy system to a conventional home that might cost $150,000 to build. The goal is more one of assessing weather patterns and energy demands over a 12-month cycle and assuring zero energy over the course of a year. Question: How would that work in practice? In most areas of the country, five or perhaps ten days in a year establish the peak energy demand. During the remaining 360 days, energy use is substantially lower — sometimes very low. The idea is size the home's renewable energy system and its associated energy storage so that the home supplies its own power most of the time, extracts energy from the grid at peak times, and actually returns energy to the grid at times of low energy usage. Over a year, the net energy extracted from the grid is zero. In addition to generation and storage, increased energy efficiency is also a major contributor to a zero-energy home. I should add that although we cite solar panels when we talk about home-based distributed generation, it is just one option. The amount of natural gas available today and new, small-scale generation technologies will probably make gas-fired generation a viable option in the future for homes in some areas of the country. Question: Speaking of new technologies, could you mention a few of the key technologies that will be integrated into the Smart Grid? We've already mentioned distributed generation. Two other key technologies are microgrids and electric vehicles, which are likely to become an important energy storage resource. Energy generated during periods of low demand such as overnight can be stored in car batteries and used the next day. Other interesting technologies include sensors integrated into every device on the grid, telemetry everywhere, solid-state transformers, machine-to-machine networking, and advanced power control systems. The list goes on and on. But I should point out that there is no silver bullet, no one-size-fits-all solution. Question: Although there may not be a silver bullet, what will bridge the gap between the various technologies being deployed so they work together seamlessly? The interconnected aspect of Smart Grid 3.0 involves telecom and software. Ideally, each utility will approach its rollout from the perspective of a software architecture that includes not just the grid infrastructure but includes architectures for homes, buildings and other types of customers. At Austin Energy, we adopted The Open Group's Architecture Framework (TOGAF), which now has a Smart Grid template, and built our own architecture from it back in 2004. In addition, we should create a virtual network communications fabric that creates interoperability between the proliferation of networking technologies and frequencies being deployed by different utilities and even within the same utility. This enables the architecture to be technology agnostic. Question: Earlier you mentioned that many utilities haven't even started on their Smart Grid journey yet. What's holding them back? There's a deeply engrained supply-side management approach to power generation and distribution at most utilities. Supply side means that it is sufficient to provide customers with a connection to the grid adequate for their needs and to throttle generation up and down to maintain a 60-Hz balance that everything depends upon. For the most part, utilities have ignored the demand side of the equation. That has to change to a service-oriented paradigm. We need to deploy software, hardware, telecom and power to make the grid far more intelligent, dynamic and capable of two-way energy flow. As buildings, homes, and vehicles become intelligent and power generation enabled, utilities need to extend their thinking to connecting and collaborating with this new smart asset. Question: What's standing in the way? Most utilities are being impeded by their regulators and by their corporate culture and business processes. Utilities are typically vertically organized according to function. Over time, this results in a "siloed" corporate culture in which the different people responsible for generation, transmission, distribution, metering, customer service, and so forth don't talk to each other that much. They independently undertake projects that often use incompatible technologies. One of the most important steps we took at Austin Energy while I was Chief Information Officer was to create a technology governance process that encompassed everything from hiring to purchasing to how organization charts were created. We also created an Enterprise Data Council, a Project Management Office, a Technology Security Council, a Disaster Recovery Council, and an Enterprise Architecture Council to professionally manage how the people, process, and technology transformation would create a much better utility with happier customers. These cultural and business process changes are one of the main reasons that Austin Energy has been among the first utilities to achieve a successful Smart Grid rollout. While it is true that Smart Grid technology is far from trivial, it is not the most important barrier. In fact, a successful rollout depends a great deal on a highly functioning corporate culture. 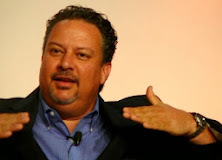 As EVP and Chief Strategy Officer at Proximetry, Andres Carvallo is responsible for global strategy, branding, marketing, products, business development, commercialization, and solutions that deliver technology agnostic virtual network communications' fabrics for the energy, telecommunications, and transportation industries.